It’s beautiful, but what do you do with it? 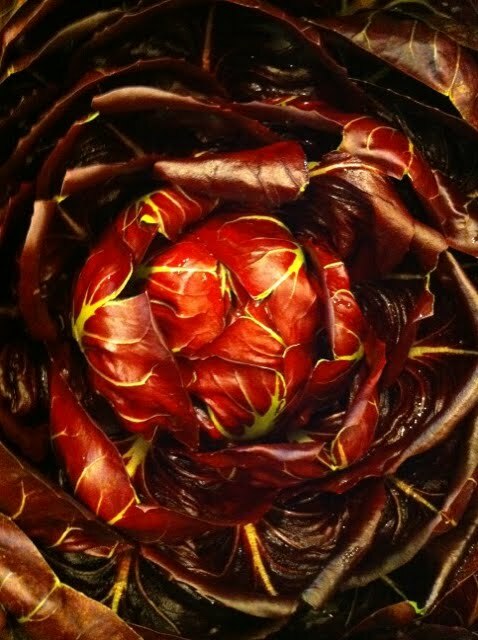 Clean and cut the radicchio into quarters lengthwise. Melt the sugar in a pan with some water, until brown. Stir in the oil and the vinegar. Lay the radicchio quarters in this sweet and sour sauce. Cook for about 15 minutes. 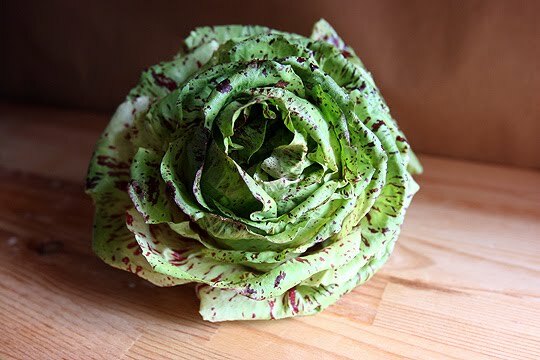 When the radicchio is soft and the sauce has thickened, remove from the stove. Add salt and pepper to taste. Serve at room temperature. Portugese Cabbage – large heads! Scallions – White $1.50 / bunch Last week! 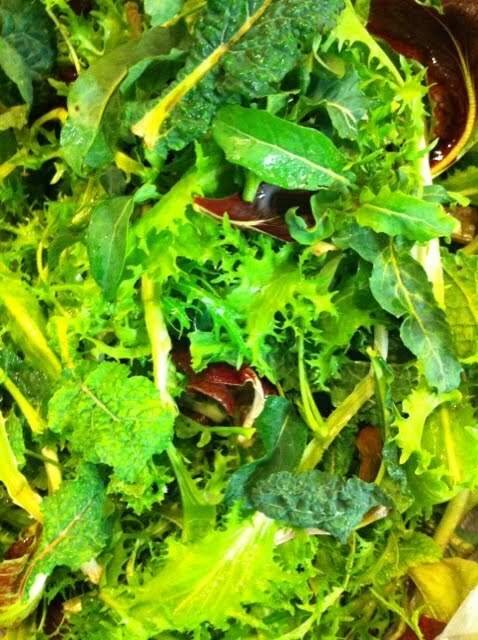 Mutsu – $2.00 / lb.